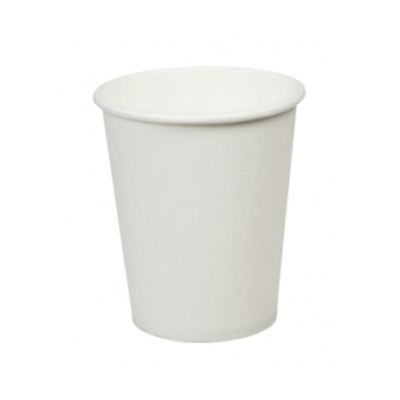 Make sure every single guest has a refreshing drink with our Paper Cup packs. Suitable for use in a range of different environments, they are a single use and disposable option for situations where storage is limited. Each cup has been made from a premium food-grade, poly-coated paper. This reduces the risk of leaks and split seams allowing each user to enjoy their beverage in peace. The amply 8oz capacity is an ideal accompaniment for hot drinks including teas, coffees and hot chocolate. When stored, they can be stacked compactly and disposed of in most standard refuse settings. This paper cup pack will serve your catering business perfectly alongside being a unique addition to your arts and crafts box. Gompels have a wide range of catering items to suit your business. With everything from our Gompels Super Tiff Handled Mugs through to Proform Napkins and measuring jugs, you'll find an extensive range of wholesale products right here.